Time has flown by so quickly this year and it's already September! While I have been hanging on to my Summer sundress, I have already started wearing Fall nail colours (as seen in here and here). 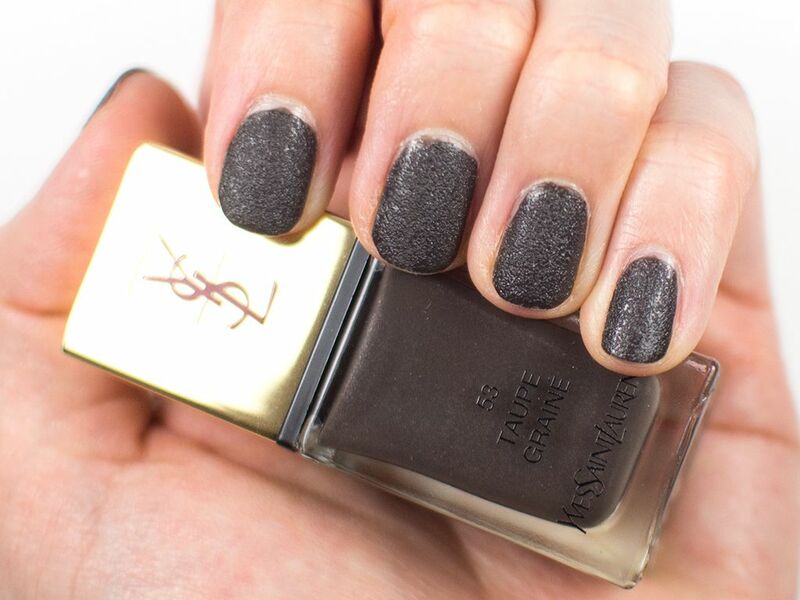 This week, I'm rocking the Yves Saint Laurent La Lacque Couture Les Grainés in #53 Taupe Grain (CA $27 / US $25) from their Cuirs Fétiches Collection for Fall 2014. 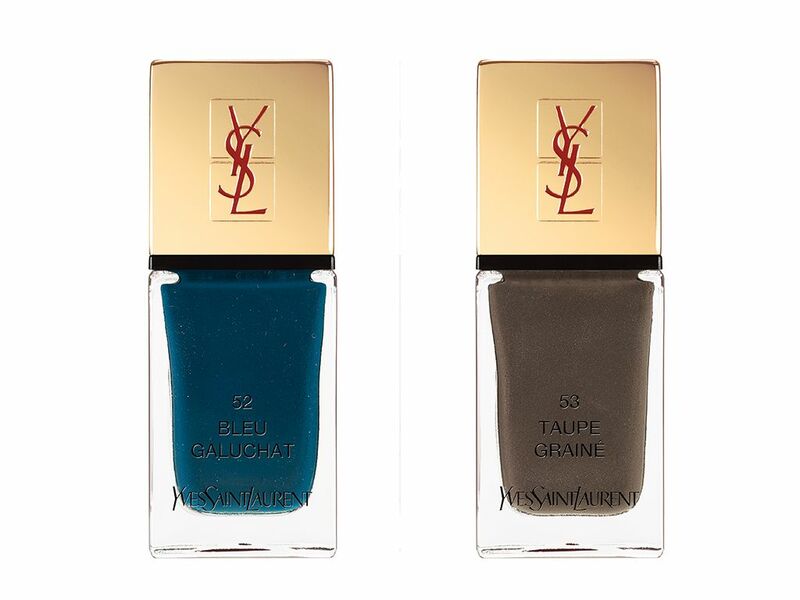 The Le Grainés range of nail polishes comes in two shades—Taupe Grain and Bleu Galuchat. They have this texturized effects which has a grainy matte finish. It looks like those gritty coarse plastic nail filer. It also resemble the looks of leather, which fits with their Fall collection nicely. I like that it's fast drying and you only need up to 2 coats (if you're short on time, you can even get away with just 1 coat). I don't apply a top coat because I like the matte finish with the grainy texture. And since it's texturized, mistakes/smudges can be easily covered by topping the spot with more nail polishes and it will blend in perfectly. Ingenious! *Disclosure: Products mentioned in this post were provided to The Office Chic for review consideration. As always, all the opinions expressed here are my own and are in no way influenced by any advertiser, affiliate, public relations firm or brands. No affiliate link used.